Renault Mascott small fire appliance. 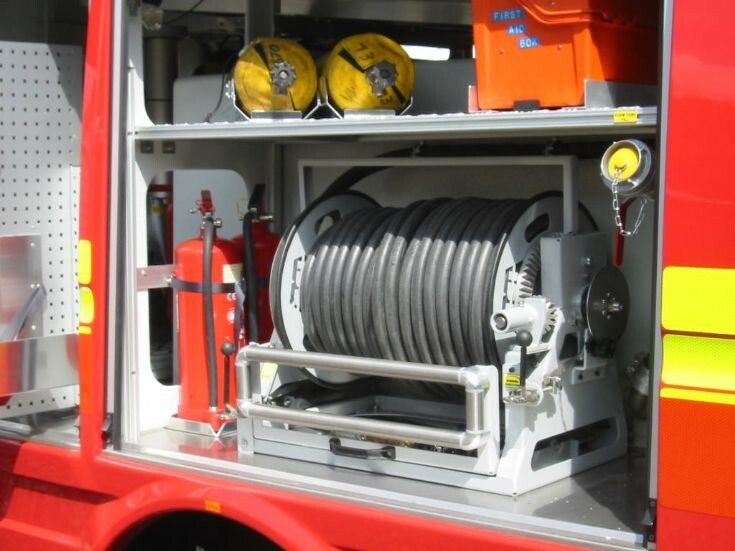 N/S/R locker shows the only hose reel on this vehicle. See picture #18563 for more of this vehicle.